Dyson vacuum cleaners were developed by James Dyson, a man who realized that there were fatal flaws in the design of most vacuums. 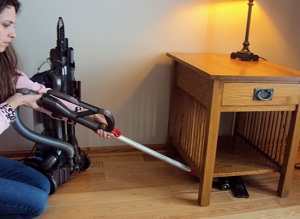 He set out to design a vacuum cleaner that could avoid the annoyance of clogging and provide lots of suction power. Read consumer reviews written by other visitors to this site, or submit your own. 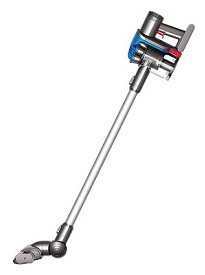 The same importance for a Dyson model was ascribed to the fact that it must be very easy to use. His design took 5 years to perfect and he created over 5000 prototypes before he found the design that he felt was a high quality vacuum that encompassed all the major considerations when purchasing a new vacuum cleaner. The original design flaw that James Dyson wanted to correct was the vacuum cleaner's tendency to lose suction power over a period of time. The invention of the Root Cyclone Technology system corrected this problem. 1. 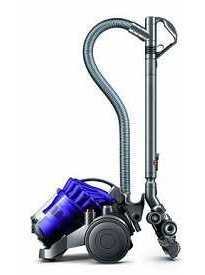 All Dyson vacuums are bagless. That means they don’t require dirt bags. The Dysons don’t clog or choke on dust/dirt. That being said, there have been cases where consumers have had to change their filter within 3 years. But, since replacing filters is not very expensive, buying a replacement filter won’t pinch your pocket. Make sure you always buy genuine Dyson filters and spare parts to ensure your purchases are covered by proper warranty. 4. Excellent maneuverability. 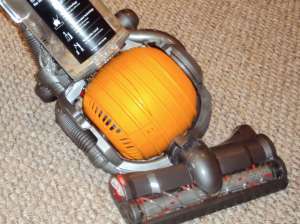 ‘The Ball’ feature in Dyson vacuums is an excellent mechanism that allows consumers to pull/push and maneuver the vacuum cleaner around at home. One of the most beneficial features of Dyson uprights is the fact that they have a five-year warranty period. 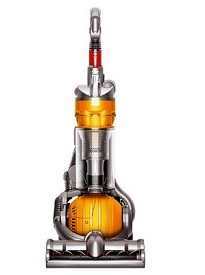 Other than that, all upright Dyson vacuum cleaners are bagless and cleaning the dust cap is an easy affair. Of course, suction power, accessories, and other features like the Ball swivel base are pretty much standard for all Dysons across the board. 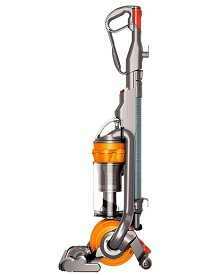 Main upright vacuum models available are – DC14, DC17, DC24, DC25, DC28, DC33 and DC41 among others. 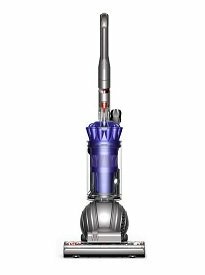 Hard floors and carpets demand a canister vacuum with tremendous suction ability, and that’s what Dyson canister vacuums are equipped with. Canister vacuums are versatile and can be carried up and down staircases making cleaning staircase carpets or floors easy. Dyson handhelds differ from other handheld vacuum cleaners by their superior suction and bagless design. The one disadvantage of such high suction is high energy consumption therefore they typically last just over 5 minutes. That’s usually more than enough for quick cleanups. In order to stay ahead of the competition, most consumer products manufacturers are spending huge sums of money on research and development of technology to improve the consumer experience. Dyson is no different. After the success achieved with use of Ball and Root Cyclone technologies, the ‘carbon-free’ motors are the next big advancement with the Dyson vacuum cleaners. Essentially, a carbon free motor has a longer life and functions more smoothly as compared with other branded motors. 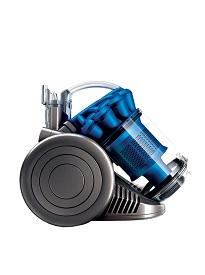 The Dyson motors are small and light, yet powerful enough to offer super suction as per company’s claim. The vacuum motor is digital, i.e. its mechanism is controlled via a microchip that has the ability to generate 88,000 RPM! 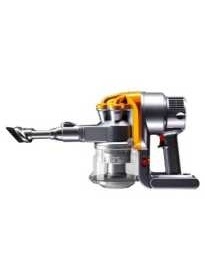 In layman terms, this means that a Dyson vac’s motor is five times faster than a F1 racing car’s engine. And a faster motor means a quicker and cleaner vacuuming process. Excellent accessories. Arguably the best range in the market. Dyson machines boast of advanced technologies like Root cyclone, Ball system, and digital motor (all explained above). All Dysons are bagless and most come with HEPA filters making them an excellent choice for those having airborne allergies from dust, pet dander, or pollen. More expensive compared to other branded models with similar features. The portable DC16 and DC35 have a short battery life, and can stop working during cleaning, leaving us hanging. Questionable durability. Many vacuum stores deal with repairing Dysons frequently because users don't wash filters as often as they should and because the materials used to construct these vacuum cleaners are not that durable. 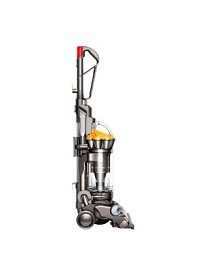 See just below for a list of Dyson consumer reviews left by visitors to this page, or leave your own. It's true that you get the quality you pay for. Perhaps, that may explain why Dyson vacuum cleaners are priced high. 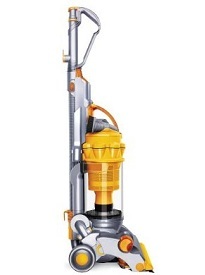 For example: The Dyson DC25 Animal is priced at $475, while the DC24 All Floors costs $364 on Amazon.com. That being said, the prices vary per model. Now, if despite knowing the verdicts you are still interested in a bagless vacuum cleaner with some of the best cleaning accessories in the market that makes it easy to clean lots of pet hair in the carpets then a Dyson is your best bet. However, if you have a staircase and can't lug a heavy machine then opt for a different brand. One thing remains unchanged. That is the user experience. And Dyson vacuum cleaners make sucking the dust and dirt out of your home look so easy that it's almost pleasurable, if nothing else! 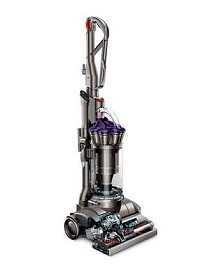 Have you had a Dyson vacuum cleaner? Share your experience with it–your thoughts, frustrations, satisfactions, and more–below and we will publish it on this page for other visitors to benefit from.